In 2008, crime had reached an all-time high in South Africa. Assault, robbery, and even murder seemed to appear more and more often in newspaper headlines. During 2008-2009, approximately 2.1 million serious crime cases were reported in South Africa. Local celebrity, Desmond Dube called on all South Africans to “join a march scheduled for the middle of April in Johannesburg. Dube said South Africans have had enough of crime.”6Dube was inspired to stand up against national crime rates following the murder of his friend, colleague, and neighbor Bashimane “Shimi” Mofokeng (actor and pub owner) in Mulbarton, Johannesburg. Dube reported to media that Mofokeng was the “third person close to him in five weeks who had died”6 due to criminal actions. Enough was definitely enough for the actor/comedian, which he confirmed in a media interview, “this is the end of the road for crime. We have to say, now we’ve had enough!”2Dube wanted to fight crime, and also show South African leaders that what people want is important: “the leadership needs to take people seriously. They are sending the wrong message to the country…that people are not important.”8Along with an organizing team that he hand-selected, and with private funding from the Million Man March Board of Directors, Dube was successful in organizing the first Million Man March against crime in South Africa. In the short-term, the event was successful in achieving one tenth of the target gathered in Pretoria, and being formally recognized by a South African Government Official, the Minister of Correctional Services (short-term outcomes). The (long-term) goals of the Million Man March were to capture the attention of corrupt and/or criminal citizens in South Africa, to create awareness around anti-crime movements in South Africa, to highlight solidarity against crime within the nation, and to inspire locals to stand up against crime in their communities. It is too soon to evaluate whether these goals were achieved or not due to complicated evaluation methods such as lack of criteria for success, and lack of evidence showing causality. Evaluating planning strategies, leadership style, and team dynamics highlighted a number of challenges for the organizing team surroundingcommunication, organization, and funding. These challengers are addressed, and presented as lessons learned. Of the 2.1 million crimes reported from2008-2009 in South Africa: 32.7% were contact crimes (murder, attempted murder, sexual offences, assault, aggravated robbery), 26.3% were other serious crimes (theft, commercial crime, shoplifting), 25.4% were property-related crimes (burglary, theft of motor vehicles, stock theft), 8.9% were crimes dependent on police action for detection (illegal possession of firearms, drug-related crimes, driving under influence of alcohol and drugs), 6.7% were contact-related crimes (crimes of arson and malicious damage to property).7These crime incidence rates were dangerously high, and highlighted that no single person could act alone to reduce crime incidents. The scary figures strengthened citizens’ resolve to take action and respond to violent crime in the best way possible – nonviolently. Dube’s 2008 Million Man March in Pretoria was an event inspired by the historic nonviolent gathering of African-American men en masse in Washington D.C. in 1995. The 1995 Million Man March was organized by Louis Farrakhan, and held on the National Mall. This event was not only an attempt to portray to the world a different image of the American black male, but also to unite a large portion of the black population in self-defense against economic, and social ills thwarting progress of the black community in America. The march in Washington aimed to gain support for African American suffrage, and inspire black involvement in community activism. Coincidentally, the 1995 march was inspired by the earlier 1963 march, also in Washington, organized by Martin Luther King. This was incidentally where King delivered his “I have a dream” speech. Thus, we see the benefit of learning from past nonviolent demonstrations, and adapting strategies to best fit the home country. South Africans were not comfortable with crime rates in 2008-2009.While primarily in response to high crime rates, the anti-crime gathering was also organized to improve South Africa’s image to the world. In a statement to local media, Dube emphasized, “we tell the world about Ubuntu…but this word has no meaning if people in the Union Buildings do not do what they are supposed to.”4In South Africa, Ubuntu is a very important traditional tenet of local culture. It is a quality that appeals to the essential human characteristics of compassion and humanity, highlighting humanity in and for others as the belief ‘I am who I am because of the people around me’ is maintained.It is clear that the presence of crime, and corruption clash with these ideals, and reject the notion of humanity to others. 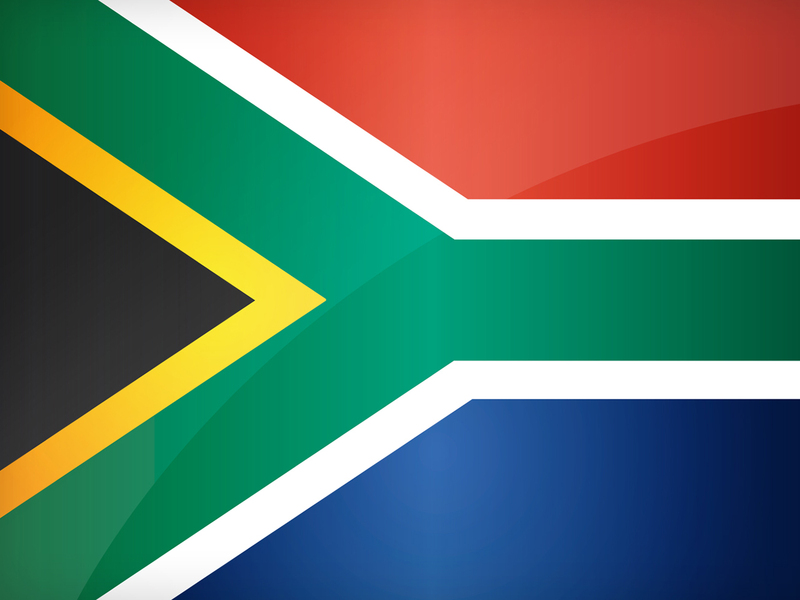 South Africa was a nation built on democracy, following former President Nelson Mandela’s election to office. Thus, it made sense that the people harness their power with safe, and proactive methods to stop crime. In this regard, Dube’smarch highlighted one of the most prominent aspects of nonviolent demonstrations – democracy and the ideal that national power really does rest with the people of a nation. One of the participants mentioned to a media source that she was present at the event to “bring people’s attention to crime.”8The people in Pretoria had the power to attend the Million Man March in order to provoke a national responseto crime. In addition to impacting personal safety, crime rates were affecting international investment, and drawing negative international attention to the country. At the time of the march, in 2008, South Africa was preparing for the 2010 Soccer World Cup. Citizens were well aware that South Africa would be placed on an international stage with every aspect of the country being scrutinized. Exacerbating the microscopic gaze from international eyes was the fact that foreigners were voicing concerns about their safety while vacationing in South Africa. They were anxious about personal safety due to the high crime rates. South Africa was reported to have spent over US $1.5billion on stadium constructions and renovations, hotel constructions, and transport and infrastructural improvements.9 Considering this, the country’s taxpayers were worried that tax dollars would be wasted in the country’s infrastructure if the anticipated flock of foreign visitors did not arrive. Organizers: Exclusively local actors were involved in this event. Dube and his hand-selected team worked out of The Laughing Corner’s offices, and met on a weekly basis to plan the event. Funds were contributed by the Directors of the Million Man March. There were eight Directors who each contributed approximately $4000.00 - totaling $32 000.00 as the total funds for the project. Participants: The Million Man March had support from a few local organizations, such as the South African National Council for the Blind, but these were too few to name. Organizers expected politicians to attend the march including Helen Zille, leader of the Democratic Alliance (DA) political party, and Bantu Holomisa, leader of the Democratic Movement (UDM) political party. Students from the all-girls, private St Mary’s High School in Waverly, Johannesburg, attended the event. One of the pupils spoke to a local newspaper, commenting that she was “disappointed” that the President was not at the event to receive the memorandum. Dube echoed this disappointment, according to media sources. The march took place on June 10, 2008 in the City of Tshwane (South Africa), which is the metropolitan municipality that forms the local government of northern Gauteng Province. Pretoria is the central part of the municipality, home to South Africa’s official Government Union (Parliamentary) Buildings. Dube, one of the members on the team of Directors, and the organizing team envisioned a march culminating in a “gathering at the buildings.”5 This was in accordance with the nonviolent demonstration model that Dube and the organizing team followed. Organizers hoped that criminals in South Africa would understand that the country was united against them, and against crime. Organizers planned for one million South Africans to gather en masse at the gardens of the Union Buildings. To cater for the human traffic, streets surroundings the buildings were closed and free from vehicles, allowing people to walk to the Parliament Buildings. Organizers notified suburbs,such as Brooklyn, Sunnyside, Hatfield, and Arcadia, which would be affected by the influx of people. Directors obtained permission from the Metropolitan police in Tshwane to hold the event from five o’clock in the morning to six o’clock in the evening. There were two hundred and fifty Metropolitan police officers present at the event, enforcing the organizers’ wishes that there be no firearms, traditional weapons, hate-speech signs, alcohol, or littering. As an additional precautionary measure, “uninformed law-enforcement officers” were not allowed to participate in the march.5There was reportedly a “heavy police presence” at the event, with police officers watching the crowds on horses, and observing the masses overhead from helicopters. This event was organized with the goal of sparking cultural change around crime in South Africa. People living in a post-apartheid South Africa had known cultural change before, as they observed conflict resolution following 1994. Crime was a thick residue that remained after the cleansing reconciliation acts spearheaded by former President Nelson Mandela, and Minister of Education Archbishop Desmond Tutu. Blue-collar crime took the form of assault at a grass roots level, while white-collar crime was evident in politics, and businesses. Dube reported to a media source that the march was not “against the government; it was against crime.”2 Dube reiterated that he and his team wanted to know what they could do to “assist the government in putting an end to crime.”2The fact that individuals in South Africa could handle the cultural change following the end of Apartheid was proof that the citizens had the capacity and tenacity to fight crime. Short-term: To analyze the outcomes of the event, one of the Directors of the Million Man March was interviewed. Mrs. Kaysaree Moodley (Social Business Entrepreneur, MBA Witwatersrand Business School) offered that the organizing team considered 10 000 participants a success, because “the event was the first anti-crime march in South Africa…the first of its nature.”10Thus, the first outcome was that approximately 10 000 people attended the event by being in Pretoria or tuning into the event on the TV and/or radio.10 Of those who attended the march, some brought signs that read “Enough,” “I May Not See Tomorrow,” or “Show Us U Care.”2 Others brought good spirit, energy, and positive attitudes. It was successful because the march made an impact, she said, and “at noon, the country came to a standstill.”10A second outcome was that the event gained national attention as a community-organized, anti-crime initiative. 10 000 participants warranted national coverage of the event on the local news channels, and in the local newspapers including Mail & Guardian, the Sowetan, and the Times (live). A third outcome of the march was increased conversation within the community, and unified South Africans.The event stimulated dialogue before, and after the march. During the event, individuals shared their traumatic experiences with crime as a cathartic gesture. Alternatively, individuals exchanged new ideas, and strategies on how to combat crime. Conversations at the march highlighted that most South Africans wanted to stand up against crime in 2008, but there was no forum or space for them to:1) share their experiences, or 2) plan a strategy within their everyday lives. Dube, and his team were successful in creating such a space, allowing South Africans to manifest their courage and support of anti-crime initiatives by attending the Million Man March. In this way, the Million Man March served as a think-tank in this way, bringing people from the city together. Spreading awareness and interest about anti-crime initiatives on a national level. Reducing the vulnerability that locals feel while going through their daily actions. Increasing individual confidence in the community. As Thomas Carothers states in Aiding Democracy Abroad, “the value of democracy programs is often not their specific effects on institutions, but the way they reshape the attitudes or ideas of individuals.”12It is particularly challenging to analyze these desiredlong-term outcomes (above) because: 1) cultural attitudes take time to change, 2) there are no defined, objective criteria outlining what a successful anti-crime march looks like, 3) organizers cannot agree on “criteria for success,”12and 4) it is challenging to evaluate cultural change. The march occurred relatively recently in the country’s history and the organizers, and locals alike, simply do not know what the long-term results of the Million Man March will be yet. While the intendedoutcomes are positive in theory, there is no way of measuring these outcomes yet. Additionally, there is no way to guarantee that anything that occurred in South Africa since the march should be attributed solely to the success of the march, or recognized as a result of the march alone. For example, Moodley highlighted that,a few months after the march,it seemed as though “people gained a level of confidence, because they were not alone with their fears” due to a newfound “camaraderie amongst people who did not know each other.”10This manifested tangibly as inter-city cooperation within South Africanswhen individuals from Johannesburg, Durban, and Cape Town increased communication, thus increased participation in community-based events such as the “Newton Diwali Festival (Johannesburg), the 94.7 Cycle Challenge (Port Elizabeth/Johannesburg), and the Two Oceans Marathon (Cape Town).”10 This solidarity was also evident on the day of the march when “people from Cape Town and Durban phoned in, asking how they could get involved” with the anti-crime march.10Furthermore, it seemed that locals felt more comfortable moving around their surrounding regions, thus locals were more visible in their public parks, and public transportation systems. More and more South Africans could be seen running in their suburbs, and participating in community-organized events. Because of this, there was increased participation in community initiatives such as volunteering programs in rural schools on Mandela Day, fundraisers in Soweto and other urban townships, career fairs in rural areas, and teacher exchange programs between private and public schools.10 This participation maintained the momentum that the march created, moving people out of their homes, and inspiring community-organized events. While both increased participation in community initiatives, and increased visibility in public spaces seemed to be outcomes of the Million Man March,this cannot be confirmed. Carothers highlights that there exists a major challenge “in determining whether particular political [and social] changes in a recipient country are the result of particular democracy assistance efforts.”12 This is because the political and social climates of any country are changing continuously, thus there is little way of knowing if and how local events affect these changes. Carothers emphasizes: “it is rarely possible to know with any precision how external influences affects internal factors to produce political outcomes.”12 This is because any and every event has a multitude of influencing factors, trends, and attitudes surrounding it, thus no event can be evaluated in isolation. Ultimately, the long-term outcomes of the march have yet to manifest, and the organizers and participants are not yet aware of how or what they will be. Internal: The first challenge for the organizing team was the lack of expertise and skills. Moodley highlighted that the “eight Directors were civilians, and not (members of) an established NPO.”10 Being civilians, the organizing team “did not have access to corporates, or any formalized NGO structures to operate from…they did not understand the potential of the event so a lot of planning happened with goodwill.”10 Because organizers did not have members with the necessary skills to carry out the event, they were forced to carry out the tasks themselves thereby “attempting to be creative with logos and T-shirt designs, which was not within (their) expertise.”10 This was challenging because every action presented a steep learning curve. Moodley commented: “we did not vie for the people in power who had skills, influence, and money – we just formed the team with people who wanted to reduce crime.”10 All they had was an idea. While the idea was born from good intentions, there were numerous challenges for the organizers in actualizing that idea. The second challenge was poor and ineffective leadership. While all eight Directors contributed to the event’s organization, Dube assumed a more dominant leadership position.Because Dube was an “entertainer,” he was not familiar with “business plans, or judging the success of an event.”10 Thus, there was a “lack of information and communication within the team,” which further exacerbated steep learnings.10Furthermore, Dube was not familiar with task definitions, task allocation, successful activist strategies, or sustainable business models. Moodley stated: “it was a show-biz thing for Dube” even though his heart was in the right place.10Dube’s ineffective leadership was a major challenge because the organizing team was not aware that Dube was their ‘executive’ leader. Srdja Popovic expands on this challenge in his book Blueprint for Revolution: “without organizational unity, everything will fall apart.”13 Popovic emphasized that any organizing team must agree with their leadership hierarchy, and have a clear understanding of their leadership structure. This was not the case for the Million Man March organizers. The Directors did not elect Dube as their leader, and were frustrated at his leadership style (or lack therefore) due to his lack of experience. As a result, just as Popovic predicted, the team was ineffective in achieving all the goals they set for themselves, and could only achieve a few. The third challenge, reiterated by Moodley, was “keeping up the morale of the organizing team.”10 There were quite a few members of the organizing team who wanted “to give up” during the week of, and on the day before, the event.10 For the Directors, including Moodley, the challenge was “to finish the task they started,” which meant galvanizing support within the team by encouraging individual members.10 This was not only time-consuming for the Directors, but always required funds, as Directors would meet with team members during coffee-meetings, and lunch dates. External: The first challenge was galvanizing support for the march. This was challenging because the march took place outside, on a Tuesday, in winter. According to Moodley, “participants were not given time off (from work), and businesses did not know what the event would be like thus could not accommodate employees who wanted to participate…Corporates and teachers could not get to the march because they had to work.”10Therefore, theturnout for the march was therefore significantly less than expected. The organizers expected and catered for 1000 000 people, but in reality only 10 000 people attended. Because organizers overestimated attendance there were unnecessaryexpenses,such as ablution facilities, and road signs, that spent the already-limited funds. The third challenge was politics when communicating with 1) celebrities, and 2) state officials. Moodley noted that there it was difficult to work with local celebrities because some of their demands were unreasonable, which introduced a fair amount of politics during the planning stages of the event. For example, the organizing committee invited local singer Danny K to join the event, but the singer refused to participate in the event “unless he was the main face of the march,” would be paid for his involvement, and would receive credit for the community-organized event.10 When Danny K was told that the Million Man March would be a community event organized by civilians, and that he would not be paid he opted out of the project. Moodley emphasized that the organizing team learned that “having celebrities involved was a hurdle, because celebrities could bring people on board who could donate money to the cause, but celebrities first wanted payment for their involvement.”10 This was not possible because of the limited funds available;hence there was little celebrity involvement. There were politics involved when cooperating with state officials as well. There was no explicit cost involved in gaining police support, save for bargaining with the “decision-makers in the task force. As civilians, it was not easy to get their buy-in, which was challenging.”10 In order to host the event, the organizing team had to gain permission from the High Commissioner (Head Officer) of the South African Police Service (SAPS) to ensure safety, and staffing for the event. While the march was not expected to be violent, organizers had to plan for stampedes, excessive traffic, or poor weather conditions. Choose the organizing team wisely: Organizers for the Million Man March consisted of civilians who donated private funding for the event. These civilians lacked: expertise in community activism, corporate network connections to increase funding, advertising and publicity expertise, and knowledge of resources (such as marketing, funding, venues, endorsements). A future organizing team would benefit from attracting members who have the aforementioned skills. Define clear roles: Members of the organizing team should be picked and organized into clearroles such as spokesperson,publicity chair,memorandum chair, and governmentliaison.10Moodley added that future organizers would need to “allocate specific tasks to people, list an agenda of things to do, and take these into account before the event.”10Clear role designations can mitigate confusion, counterproductive attitudes, and strained team dynamics. Communicate within the team: Moodley commented: “as business consultants, we realized that there was no real plan but we could not kill the project. We had to go with it, and do what we could – it was a leap of faith.”10 Future organizers should ensure that thereis aformalized planning structure consisting of defined leadership roles, task allocation, and time frames for executing actions. Thisstructure must be communicated to all organizers to allow for successful planning. Ensure consistency:Onespokesperson from the organizing committee reported that they were “expecting a lot of people” to attend the march.5Another spokesperson told media that “it did not matter” if the turnout was not one million people; even if only “four hundred thousand” people were present at the march, the march would be a success.5The organizers’ comments were not consistent, and should not have been released to the media. Inconsistency sets poor precedent whengalvanizing support for an event. Ultimately, organizers could have confused participants who were unsure about attending the march in the first place. This likely affected the outcome of attendance at the event. Distinguish activities, goals, and outcomes: The organizing team did not clearly define their activities, goals, and outcomes. This was a strategic mistake. One spokesperson from the team was reported to have said that the goal of the event was to have a certain number of people present. In fact, the goals of the event were to capture national attention, promote awareness around anti-crime movements and solidarity, and inspire anti-crime action in local communities. Attendance at the event should have been described as the intended outcome. Misusing the terms activity, goal, and outcome indicated that the organizing team did not clearly distinguish each term. The lack of definition made evaluation strategies more challenging, and meant that successful results after the event were difficult to name, thus recognize. Thus, distinguishing these three terms, via good communication, is paramount for success. Do not reinvent the wheel: Organizers should build their event agenda on existing models. A local organization, South African National Council for the Blind, supported the march on behalf of “blind South Africans were had been victimized” by crime.2 It would have been beneficial to gain support and agency from even more like-minded organizations (such as the anti-crime movement ‘Stop Crime Say Hello’) in order to learn from their past experiences with mass nonviolent gatherings, encourage dialogue, and promote inter-organizational solidarity. Additionally, Moodley volunteered with the Independent Electoral Commission (IEC; organizes the national presidential elections) in 2008, and recounted: “the election event was very similar to the non-violent gathering we envisioned, bring in groups of people and reaching out.”10 In this way, future organizers could use the IEC model when organizing an event like the Million Man March instead of planning the event without any guidelines. Set realistic expectations:Planning the event for 1000 000 people without gauging how many people would attend was not realistic. It is imperative that organizers have a realistic estimate of participationto prevent wasting time, and money on resources for an event such as law enforcement, ablution facilities, sign posting, and reserving public spaces or roads.Organizers should gauge participation based on when the event is taking place regarding season (10 June was a wintry Tuesday in Pretoria), time (the event did not take place on a public holiday), and location (the Pretoria is an hour-drive from Johannesburg, where most participants live and work)11. Be inclusive: The target audience for the march was “people of all races, children, and businessmen” from every demographic in South Africa, including women. Sadly, the single-gender title Million Man March seemed to exclude women from the event.4 The march represented a call to action for all people living in the country who were tired of feeling unsafe in their own homes, yet many women were unaware of this. Future organizers must consider more inclusive terms when organizing, and naming events. Inform participants: On the day of the event, participants were under the impression that the President would receive the memorandum. When the memorandum was handed to Minister Balfour some individuals in the crowd “booed” the Minister, and began shouting for the President. This highlighted that there was a false expectation that the President would receive the memorandum. Participants were disappointed, and hurt that a Minister received the memorandum instead of by President Mbeki. Moodley commented on this saying that organizers “were not told who would receive the crowd at the Union Buildings,” so they could not inform the audience to quell disappointement.10Future organizers should be candid and transparent with participants, as far as possible, to encourage transparency, and prevent disappointment. Attract celebrities:Organizers should reach outto national celebrities to promulgate support for the event. Gaining support from a diverse celebrity pool could have encouraged more South Africans to attend the march. When becoming involved with celebrities, however, future organizers should enter with a team that has expertise, skills, and confidence. It is important that future organizers “explain to the entertainer that the organizers will be using the entertainer’s name and face to draw the crowds, and the entertainerwill answer to the organizers.”10 This is significant in order to avoid a situation where celebrities assume dominant leadership roles, or expect payment for involvement despite having little activism and business experience, and inadequate leadership experience. Be cognizant of politics: “It seemed that celebrities “bought into the sentiment” of anti-crime movements, “but they did not want to do the work on the project…They only seemed interested in the money, and leverage for their careers.”10 These social politics led to challenges for the organizing team that could have been prevented if the team was aware of such politics, thus couldapproachcelebrities in different ways such as with unique incentives. Future organizers must be familiar with celebrity politics in the country in order to gain celebrity support. Be consistent withpublicity and advertising: In the weeks leading up to the event, publicity and advertising decreased. Future organizers should ensure there is more campaigning in public areas such as schools, universities, small and major businesses, non-profit organizations, and political organizations. Word of mouth can only go so far, thus it is worthwhile for the organizers to publicize the event more aggressively. At the time of the event, 2008, South Africa had not yet been exposed to social media the way America had been - despite the fact that South Africa had the same number of cellphone subscriptions as Turkey and the United Kingdom. This was partly because South Africa did not have broadband Internet, and locals did not have smartphones with 3G/Wi-Fi capabilities. Today, however, these resources are available. Future organizers should take advantage of publicity via social media sites such as Facebook, Twitter, and YouTube, in addition to the more traditional forms of publicity (TV, radio, newspaper, billboards). Follow-up after the event: After the 10th of June, there wasno mention of the Million Man March in South Africa. Organizers disappeared from the public realm as quickly as they had appeared in it. They did not follow up on any statistics to gauge a change in crime rates.10The year after, in 2009, Dube and his organizing team did not attempt to repeat the march, and no other organizations planned nonviolent events. The lack of follow-up due to administrative challenges and a lack of funding created a poor impression that nonviolent demonstrations are not sustainable, and do not affect change. Future organizers must continue the aims and goals of the event to affect long-term outcomes. Any developments must be monitored by organizers, and shared with the public. Sharing information is essential because participants are invested in the event after participating in the march, and this investment should be honored. Sustain a media presence online: After the event, the official website (www.millionmanmarch.co.za) was terminated. Coincidentally, all media articles reporting on the Million Man Marchlink to that official, terminated website. Due to the terminated URL, the public has no means to remain informed on Million Man March developments (whether they are occurring or not). Thus, the only media presence online is limited to archived newspaperand journal articleswith inherent bias. It is important that future organizers maintain a presence online 1) for participants who want to remain informed about the event, and 2) to show longevity and sustainability in anti-crime, community-based events. 10. Moodley, Kaysaree. Personal interview. 18 October 2015. 11. Hartley, Ray. Interview. Why the million man march against crime flopped. Times Live, 2008. Web. 19 Oct. 2015. 12. Carothers, Thomas. Aiding Democracy Abroad: The Learning Curve. Washington D.C.: Carnegie Endowment for International Peace, 1999. Print. 13. Popovic, Srdja. Blueprint for Revolution. New York: Spiegel & Grau, 2015. Print.